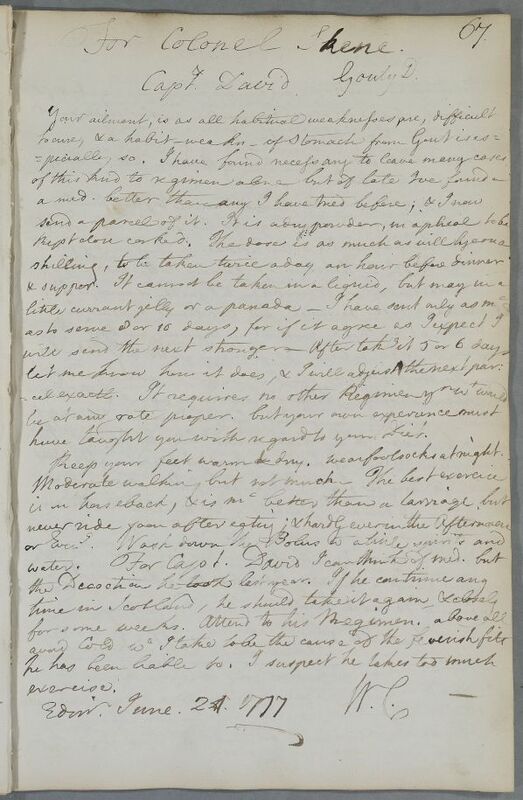 Case of Colonel Skene's brother Captain David Skene, who is given detailed instructions on taking medicines sent to relieve him of his 'feverish fits'. This patient presents different symptoms in later years. Case of Colonel Skene who has gout on his stomach. have taught you with regard to your Diet. Keep your feet warm & dry. Wear footsocks at night.